Includes actuator, cables, and switches. Provided will be a 2-wire weather pack male/female plug kit to allow the factory (unused male plug) located on the wire on the actuator to be cut off (removed/replaced) with the weather pack plug assembly. 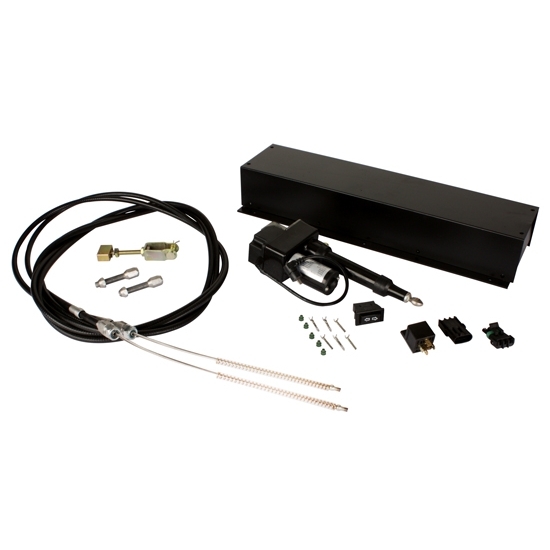 The 5 terminal rocker switch and relay included will then be wired into the 12 volt battery system along with the neutral safety switch and 2-wire actuator per the instruction schematic.